How far will men go to erase a woman who has been dead for centuries? 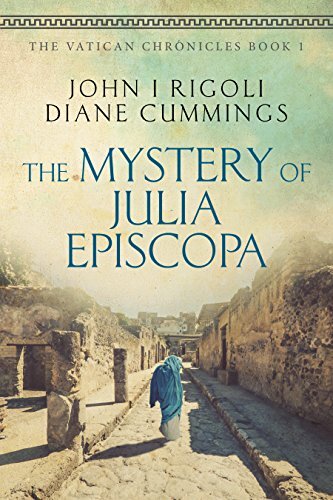 In modern Rome, two archeologists stumble across an ancient parchment that leads them to Julia and to the legacy she died to protect. Valentina Vella and Erika Simone find themselves caught at the center of a deadly Vatican battle for power and supremacy. The safest course of action is to say nothing, do nothing. Their enemies are men who will defend their privilege at any cost – and will annihilate any who stand in their way. The risks are great, the outcome uncertain. Will Valentina and Erika meet the same fate as Julia?